Real home-made butter is one of the perks of having a milking cow. It makes the early mornings and late evenings, the hauling of hay, the cold fingers in winter and the sweat in summer well worth the effort. To have butter, however, one must churn the stuff. It doesn’t take a tremendous amount of effort. In fact, you can have butter by dropping a clean marble in a glass jar with some cream and shaking for a while until the butter separates. However, it does take time, and I’m often short on that, so in my usual I’m-efficient-because-I’m-lazy fashion, I’m always looking for the best way to do the task. 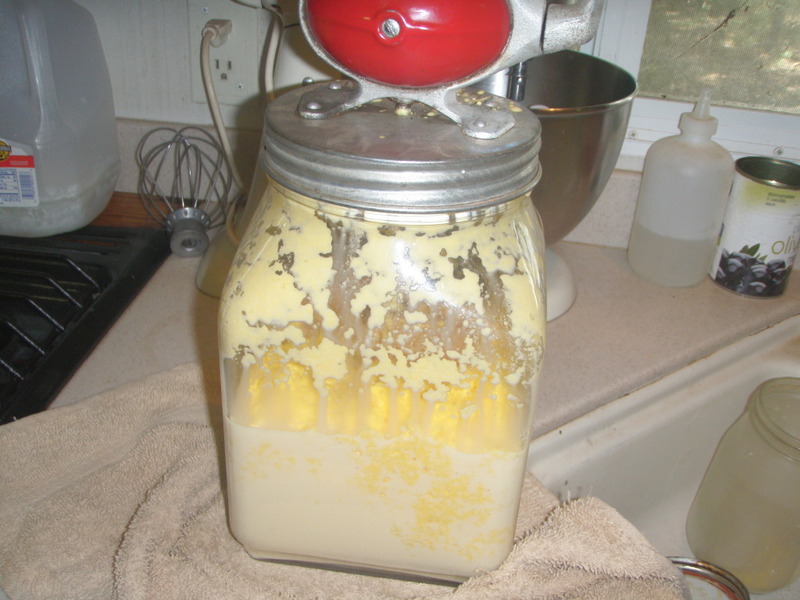 I have three options for making butter: the big Kitchen-Aid mixer, the food processor and the old-fashioned hand-cranked Dazey butter churn. I prefer to eliminate the mixer right off. Although it does the job, it’s almost impossible to keep it from making a big mess due to spattering cream and buttermilk. So I switch back and forth between the other two options, trying to decide which is the better choice. 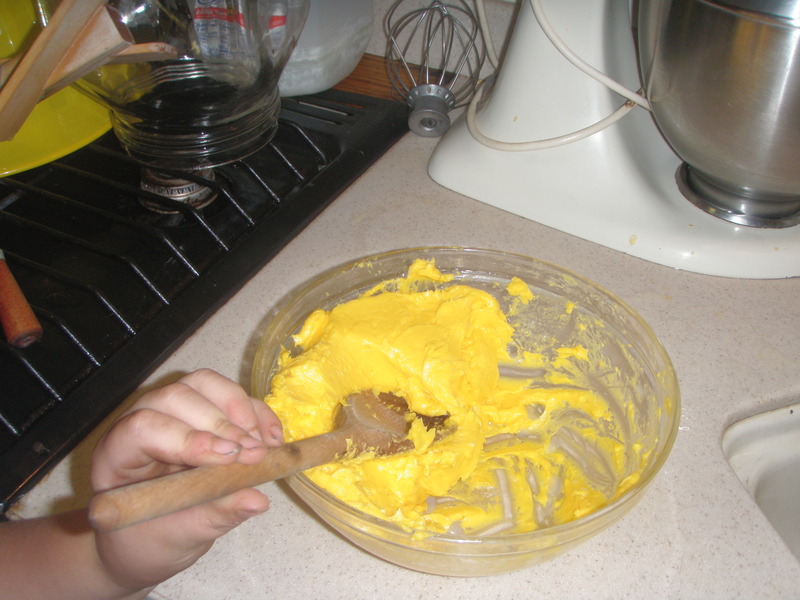 Time: the food processor takes about five minutes to turn cream into butter. The Dazey takes about 15 to 20 minutes. Temperature: temperature doesn’t seem to matter as much with the food processor. Although, if the cream is really ice cold, it will not turn to butter until it’s warmed quite a bit. With the Dazey, however, I need to make sure the cream is between 50 and 55 degrees in summer and 55 to 60 degrees in winter. If the cream is too cold, I can turn the crank forever, and nothing happens. Quantity: I can make almost three times as much butter in the Dazey churn — about two cups. Mess: It can be hard to gauge the amount of cream I pour into the food processor; if I get it wrong, it will trickle down the center fitting and get all over the housing. It’s also harder to pour the butter and buttermilk out because the center blade falls off. The Dazey is easier to wash by hand, which is how I do my dishes. Quality: I haven’t found any difference in butter quality from either method. Effort: The Dazey definitely takes more physical effort. 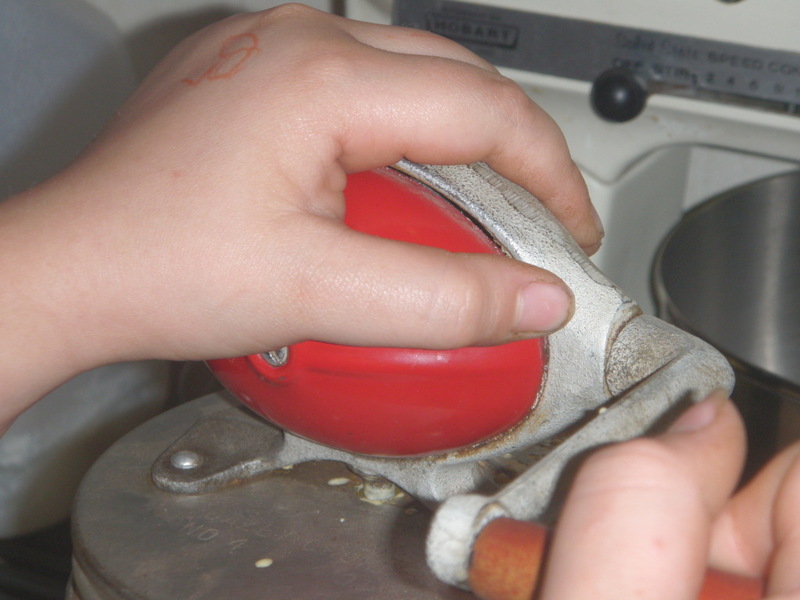 On the other hand, it’s useful for keeping small children occupied when they want to help in the kitchen. 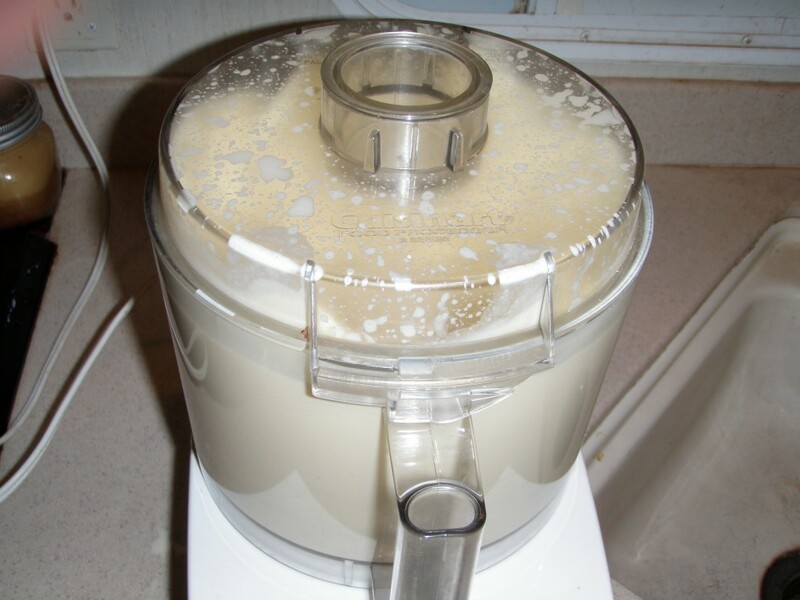 Other: Although you can step away from the food processor for a few minutes while it churns (not an option with the Dazey), you better not get distracted, because it’s so fast, it will be finished before you get back. They both take up about the same amount of cabinet or counter space. I can always use the Dazey when the power is out. 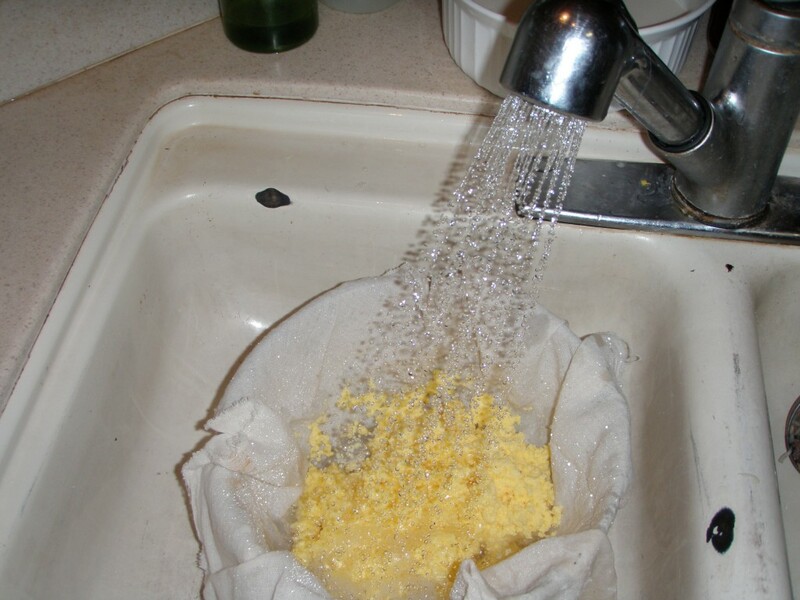 Most of the time, I use the Dazey, primarily because I can get more butter out of one churning. Since the total time — set-up, churning, clean-up — is about the same, I’d rather use the method that has the biggest payoff. This entry was posted in Farms, Food, Health and tagged butter, churn, cream, Dazey churn, food processor, milk cow. Bookmark the permalink. Excellent post, Bee, and good timing at the beginning of the year. I am thinking about what to add to my skill set. Now if my neighbor down the road will just get that cow he’s been talking about forever….I know, eyes rolling!